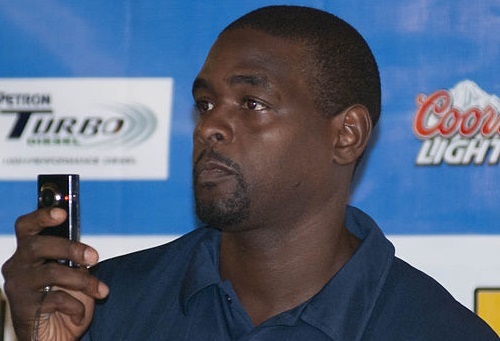 Chris Webber, Bulls fans are not happy with you right about now. You apparently felt the need to make some disparaging comments about the Bulls' lack of offense while he was appearing on "The Herd with Colin Cowherd" on ESPN Radio. According to the latest Chris Webber Bulls comments, coach Tom Thibodeau is a great defensive coach who is holding the team back on offense. 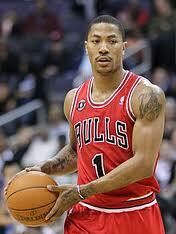 "If I'm Melo, I'm definitely not going to Chicago. That's just not the place to go. When D-Rose was healthy, they had terrible offense. [Coach Tom] Thibodeau is a great, great coach, but offensively you have to have an offensive-minded coach as well, someone who can adapt like a [Spurs coach Gregg] Popovich, who uses talent and not just harps on them that we're going to play hard every night. Everybody can play hard every night, but can you play with the IQ, can you play with smarts every night?" Webber is most certainly welcome to his opinion, and he is obviously more than welcome to express his thoughts any time and any where he chooses. But if his comments are just blatantly untrue, someone is going to call him out on them. That's where I come in. Chris Webber: Bulls offense sucked even when Rose was healthy. Bullsville: During the last two seasons in which Rose played more than 10 games, the Bulls offensive efficiency (points per possession) ranked 12th in 2011 and 5th in 2012. Chris must have looked up "terrible" in a different dictionary than the one I use. But what's truly surprising about this story is that there are Bulls "fans" out there who are looking for reasons to agree with Webber. When it's pointed out to them that the truth is that Bulls offense was actually pretty efficient when Rose was healthy, they go looking for explanations. They go out of their way to find reasons why the Bulls' offense wasn't really good, that the numbers are lying. Which leads to some downright comical comments- ones you won't find here at the home of the intelligent Bulls fan. I'm sure many of you are familiar with the RealGM Bulls board, it's the busiest on the internet. They have a discussion going where the subject is Webber's assertion that the Bulls' offense sucked even when Rose was healthy. As logic would dictate, where there are lots of people, there are lots of really, really stupid comments. NBA is evolving. You cant just play defense and win. You need to push the ball on transition and shoot the 3 ball well. Tom Thibodeau is stuck in the early 2000s building his team based on david robinson/tim duncan led spurs. Its not gonna turn out good for this team if this continues. I hate that people keep bringing up their offensive rating in 10-11 and 11-12 season. They were efficient purely because they played with slow pace and were dominant on the offensive boards. They were nothing special on the half court or in the clutch. Their last 5 minutes gameplan consisted of derrick rose dribbling the ball for 20 seconds. And playing grinding defense on the other end. This genius is just all over the place- you "need to push the ball on transition", but the 2010-11 and 2011-12 Bulls "were efficient purely because they played with slow pace and were dominant on the offensive boards". Way to contradict yourself, Einstein! The 2010-11 Bulls were 12th in offensive efficiency even though they were 22nd in pace in the NBA. The 2011-12 Bulls were 5th in offensive efficiency even though they were only 26th in pace. Obviously, it is possible to play at a slower pace and still have a very efficient offense. I will give him the Captain Obvious award for pointing out that a team needs to "shoot the 3 ball well". It also helps to shoot the 2 ball well. It also helps to shoot layups well. It also helps to shoot dunks well. It also helps to shoot free throws well. Offensive rating doesnt mean much when you cant score in the last 5 minutes of the game. To your point about not being able to score in the last 5 minutes of games...that's a very obvious problem. Nobody is going to disagree with you there. As anyone with a brain can plainly see, during the first two years of the Thibodeau era - when Derrick Rose was healthy for the most part - the Bulls' offense was actually much, much more efficient late in close games than it was during the rest of the game. The Chris Webber Bulls comments can at least be explained by the fact that Webber doesn't watch the team very often (and he isn't the greatest analyst in the world anyway). But Bulls "fans" who are this clueless? That's just inexcusable, when the statistics are right there for anyone to look at. There are the great post here you have to seen the online all setting for require save to sync windowsdownload must be people have to visit here for save to all update for system easily thanks. Are you interested in a good essay writing service? I can assure you that this https://nerdymates.com/ service is one of the best I ever seen! I am a big fan of general motor because this company always makes the best vehicle. there mentioned site is helping to understand how to view bing history, follow the some easy step given below there homepage http://windowstuts.net/binghistory and clear the search history in without any requirement. Are you guys ready for another big thing? You guys can catch more of these things and you can tell everyone about it. It will be the best thing for all of us to have.